One of the few remaining genuine utility vehicles that upholds the hardy truck body frame – the Toyota 4Runner’s essential for off-road driving. A durable, equipped, and heavy-duty SUV with plenty of cargo space and high-technology features the 2016 Toyota 4Runner now showcases cell phone navigation as well as an advanced base audio system. What’s more, the beltline is elevated, the proportions extensive, and the downward tilt of the rear pillars all highlight the enduring tough-style engineering that you desire in a rugged terrain vehicle. It’s the true SUV for off-road devotees. See the Toyota 4runner here at Lipton Toyota in Fort Lauderdale, FL. Our great team of sales staff is standing by and ready to serve our neighbors in Dade County and Broward County, FL. This midsize sports utility vehicle features four trims: Toyota 4Runner SR5, Trail, TRD Pro and the Toyota 4Runner Limited. The SR5 and Trail are separated further into standard and Premium sub-trims. Five-occupant seating is standard, and the option of the 50/50-split third-row seat on the SR5 and Limited models increases seating capacity to seven passengers. For a little more, the 4Runner SR5 Premium level adds, heated front seats, leatherette (premium vinyl) upholstery, a moonroof, and upgraded exterior mirrors. It also incorporates a power front passenger seat, an auto-dimming rearview mirror, an upgraded edition of Entune, smartphone app integration, and navigation. If you decide on the 4WD-only Trail trim level, you'll get all of the SR5's standard features plus: silver exterior trim accents, a hood scoop, a locking rear differential, unique 17-inch wheels, crawl control, and selectable terrain modes. The Trail Premium version includes the SR5 Premium's standard features. The 4Runner Trail level offers limited eligibility for the elective Kinetic Dynamic Suspension System (KDSS). This component mechanically disengages the SUV's stabilizer bars in off-road situations at low speeds to expand suspension articulation over hollows and rocks. The TRD Pro edition includes most of the Trail Premium's base equipment, adding or substituting 17-inch wheels with unique off-road tires. It also features a TRD-stamped aluminum front skid plate, automatic headlights, a higher ride height, Bilstein shocks, an exclusive black front grille, upgraded front springs, and assorted TRD-themed visual upgrades. The Limited model contains the majority of the Trail Premium's feature components, with the exception of the terrain mode selector, mud guards, crawl control, and locking rear differential. Its available enduring 4WD arrangement instead makes use of a locking center variance. Other 4Runner Limited highlights include dual-zone automatic climate control, automatic headlights, 20-inch alloy wheels, and adaptive roll-reducing dampers (X-REAS). It also features Front and Rear parking sensors, leather upholstery, keyless ignition, keyless entry, ventilated front seats, Toyota's Safety Connect telematics, and a 15-speaker JBL sound system. Much of the higher-end standard components are also optional on lower trims, but availability varies depending on where you live in the United States. Single optional features include automatically deploying/retracting running boards, fixed running boards, a sliding rear cargo floor (two-row models only), and roof-rack crossbars. Good maneuverability, handling control, and steering ease provide remarkable satisfaction driving in this athletic automobile. The 2016 4Runner showcases a 4.0-liter V6 engine that generates 270 horsepower and 278 pounds-feet of torque. Fuel economy estimates the rate at 17 miles-per-gallon for the city and 22 miles-per-gallon while on the highway for the rear-drive versions. Four-wheel-drive models generate calculations of 17 miles-per-gallon in the city and 21 miles-per-gallon on the highway. The 4Runner V6 SR5 editions come in either a rear-wheel drive or a part-time four-wheel-drive system while the Trail and TRD Pro models feature the part-time system. 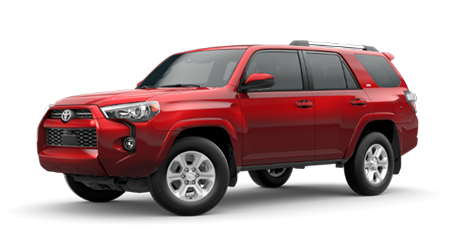 The Toyota 4Runner offers authentic SUV truck-based capability and a supreme sturdy style. A must for rugged off-road enthusiasts, the 4Runner, combines all the truck toughness with just enough modern technology and ride handling qualities to make this the perfect drive for those seeking outdoor prowess. You’ll get superior customer service and our great price when you purchase a bold, Toyota 4Runner at Lipton Toyota located at 1700 West Oakland Park Blvd. in Fort Lauderdale, FL. Be one of the first in Dade County or Broward County to own this robust, reliable and upgraded classic.